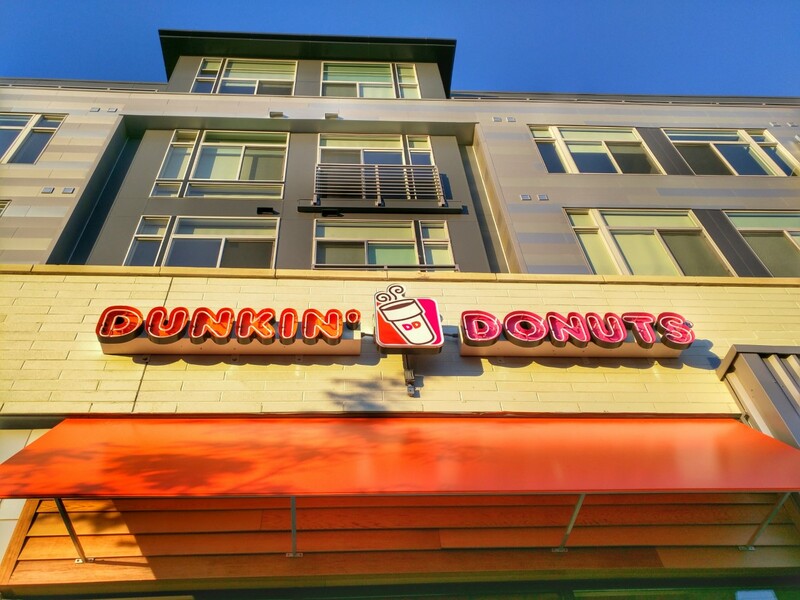 The permanent sign is installed at the future Dunkin' Donuts in the Galvan development near the Twinbrook Metro station in Rockville. 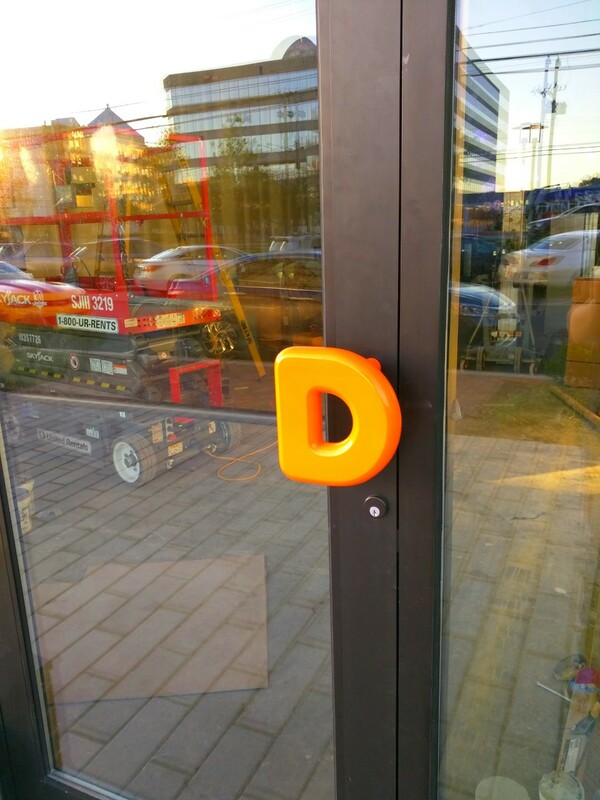 A "D" door handle has also been installed outside. 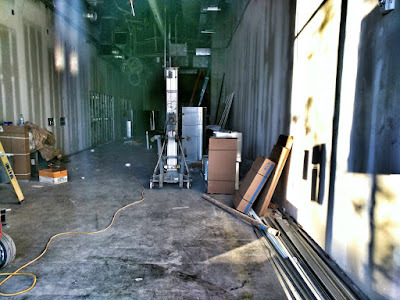 There's still a long way to go on the inside. 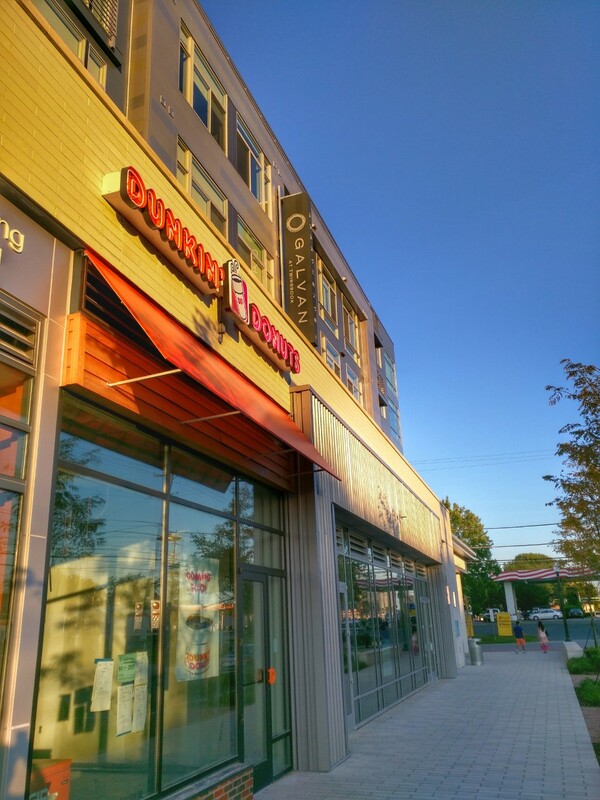 This is one of several Dunkin' Donuts that have either opened, or are planned to open, in Rockville. Did Capriotti's pull out of the project? They announced it almost 2 years ago, and now they aren't listed on Galvan website any more.